NETZSCH Pumps North America, LLC, experts in solutions designed specifically for difficult pumping applications, has introduced the new iFD-Stator® 2.0, which combines efficiency, economy and environmental safety in one unique system. Featuring a two-part, reusable stator housing and replaceable stator, the iFD-Stator 2.0 is compatible with all NEMO® NM® series progressing cavity pumps. Changing the stator within the housing is remarkably easy, with simple, compression free assembly and disassembly; the defined compression for the iFD-Stator 2.0 is automatically generated when the elastomer collar is fastened. The new housing concept of the iFD-Stator 2.0 is easier to handle than the previous generation and delivers a longer service life than competing options, leading to reduced downtime and maintenance. The iFD-Stator 2.0 delivers reduced pulsation and improved fluid flow compared to conventional stator design, as well as a considerable increase in efficiency due to reduced starting and running torque. There is no limitation of speed or pressure when measured against the standard stator, and the axial mobility of the elastomer leads to a prolonged service lifetime. Replacement of the stator costs less than with traditional stator designs and is more environmentally friendly because the housing can be reused. Overall, the iFD-Stator 2.0 delivers a reduced life cycle and energy costs over other stator designs. 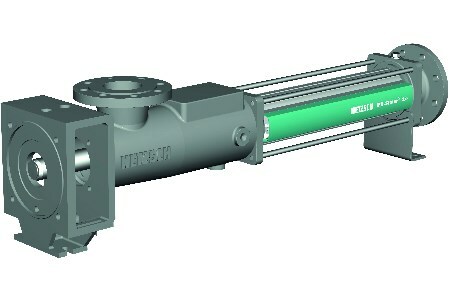 NEMO progressing cavity pumps are known for their continuous, pressure-stable, gentle and low pulsation conveyance of almost any process fluid without being affected by fluctuations in pressure and viscosity. The pump is available in eleven styles with four rotor/stator geometries and a selection of engineered joints that can be tailored to suit specific applications. Conveyance volumes can be configured in proportion to rotation speed, with high dosing precision over the entire rotational speed range.